Summertime is a magical time for teachers. We recharge, reflect, learn more about our craft, and do all the activities that we love to do but can’t get to during the year. This last summer was not much different for me. I took some classes on teaching science, took my kids on their first backpacking trip, and spent time at the beach. 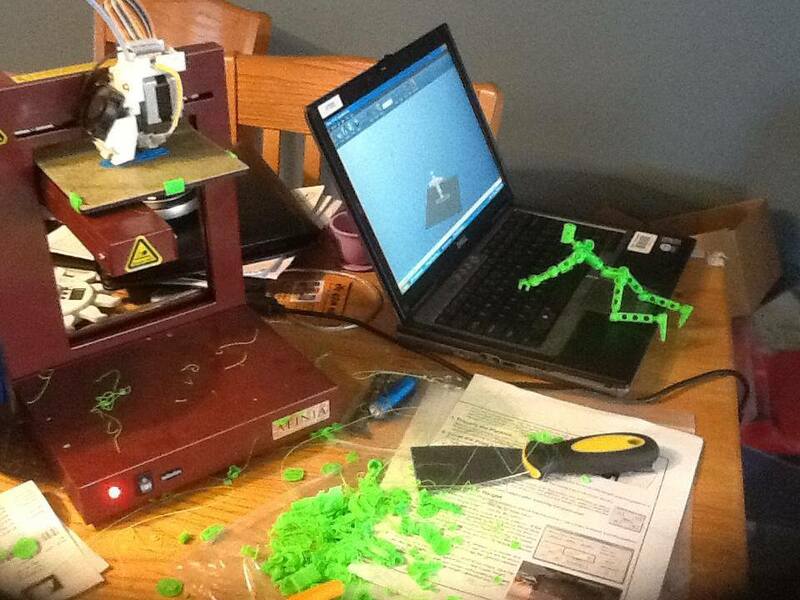 The big difference for me was that a new interest was seeded: 3D printing. Towards the end of the previous year I had bumped into some friends of mine (Debby and Steve from Windy Ridge Innovation) who were presenting at an event that my school district was sponsoring. I was presenting on how I was using iPads in the classroom and they were presenting their 3D printers and way to utilize 3D printers in innovative ways. It was the first time I had seen a 3D printer up close and personal and I immediately started thinking of how I would use it in my classroom. We had an opportunity to catch up and share ideas. At the end of the day Debby told me that she had some ideas for me and we should talk later. It was mysterious and exciting because of what they were doing. It turns out that they wanted to loan me a printer to see what I could do with it in the classroom. We hatched a plan and called it the “Innovative Educator Pilot Program”. Of course I jumped at the opportunity and my imagination exploded. I immediately started dreaming of what I could print and how I would use it in a classroom. My first thoughts were of printing a new iPhone case and a buckle to replace one I snapped on my last backpacking trip. Then I started dreaming about what kids could do with the printer. Angry Birds: Make angry birds game, study the physics. Sim City: Mock city planners that have to approve plans to “build” print city structures. Economy? Chemistry: print molecules, viruses etc. Ungifted (Connection to the book): build Tin Man, reenact youkilicious YouTube videos? I was really excited about the Greek Mythology idea. I even paid for some Modibot files to print so I could try it out. Here are my initial prints. My 5 year old son had a wonderful time playing with them. The Modibot starting to come alive. Some of the guts of printing fails and support for the printed pieces. That summer really was the start of a new passion for me and I look forward to sharing that passion and process through this blog. I am hoping that other educators will see the value in this new technology, become inspired, and share how they are using 3D printers in their own classrooms. Stay tuned for more ideas, examples, failures, and pieces of the process. 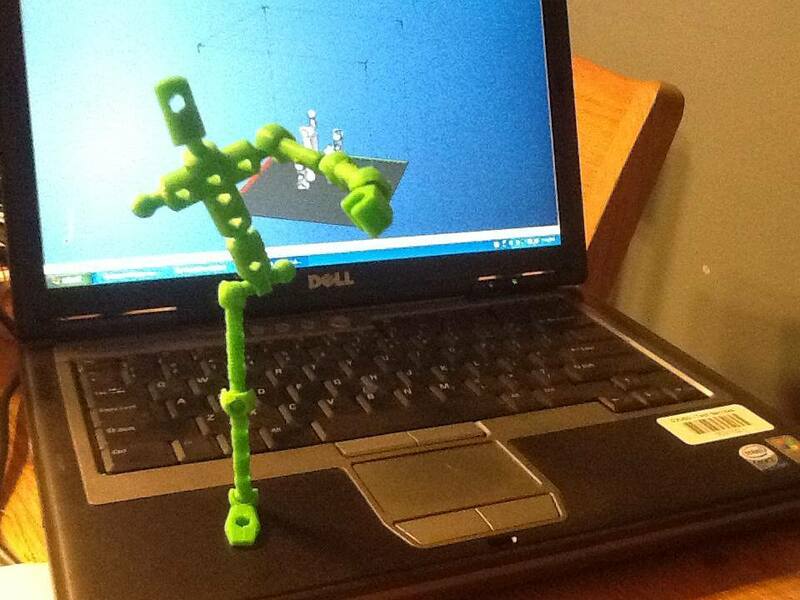 This entry was posted in 3D Printing, 3D Printing in the Classroom, Education Technology and tagged in 3D Printing, 3D Printing in the Classroom, Afinia, Barnett Tech Camps, Clark Barnett, edchat, EdTech, Education, Education Technology, Table Top Inventing, WRI3D.